DAVID LE/Staff photo. 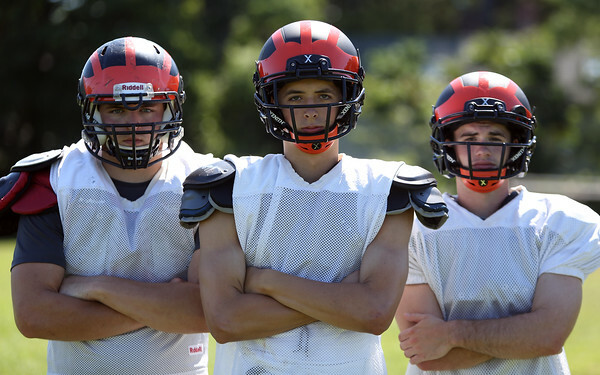 Ipswich senior captains Josh Brown (LB/OL), Alex Morris (WR/CB) and Jake Long (QB/S) will lead a young Tigers team in 2015. 8/27/15.